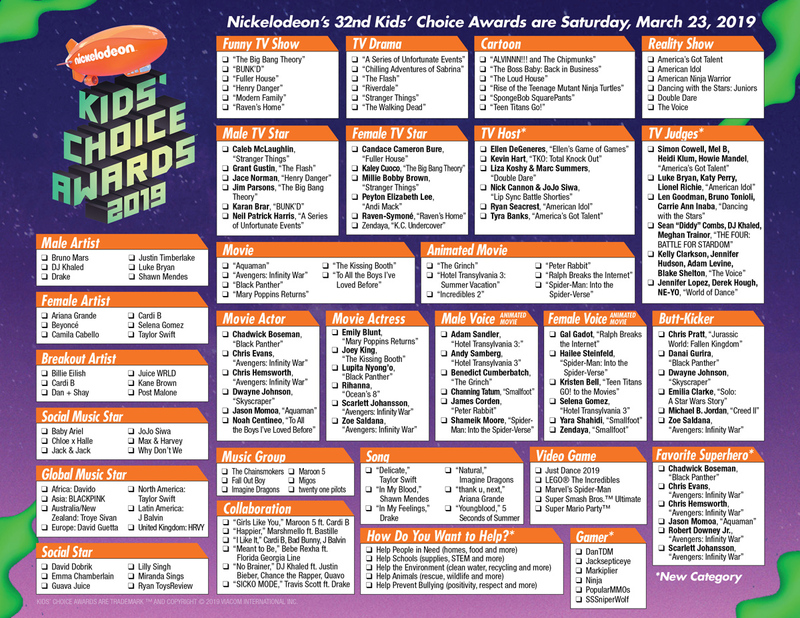 The Gold Knight team has compiled the nominees for Nickelodeon’s 2019 Kids’ Choice Awards. Find all of them here in our handy ballot. 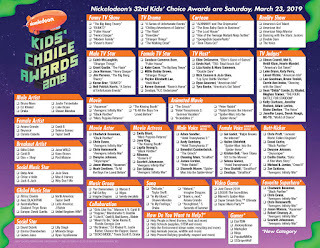 The Gold Knight team has compiled the nominees for Nickelodeon’s 32nd Kids’ Choice Awards. Find all of them here in our handy ballot. Download the ballot, print it out and pass out during your party (go here to download the PDF). It's in glorious color. Nickelodeon has added nearly a dozen categories this year, after removing nearly a dozen last year. Thanks for your patience. It took us a while to fit everything in! 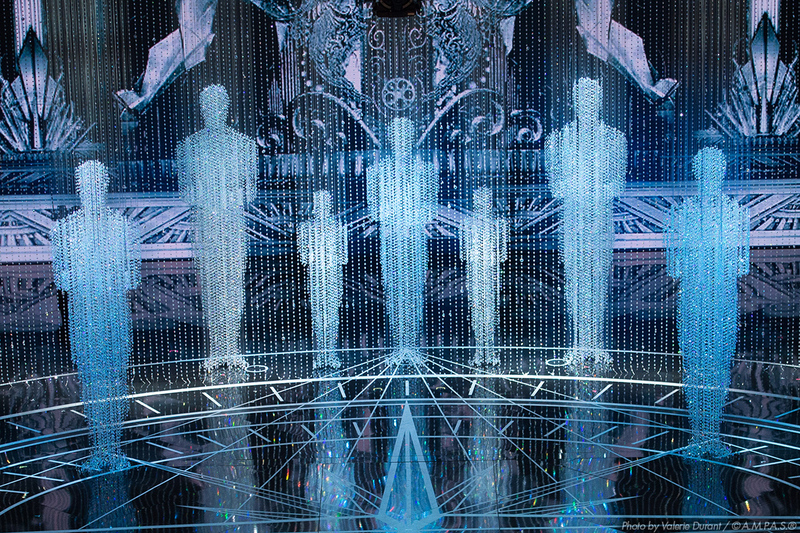 Continuing this year, fans will have the ability to influence the show in real time with live voting during the broadcast. Tune into the Kids’ Choice Awards on Saturday, March 23, 2019, on Nickelodeon. Music mogul DJ Khaled is set to host the ceremony, airing live at 8 p.m. (ET/PT) from the Galen Center in Los Angeles. 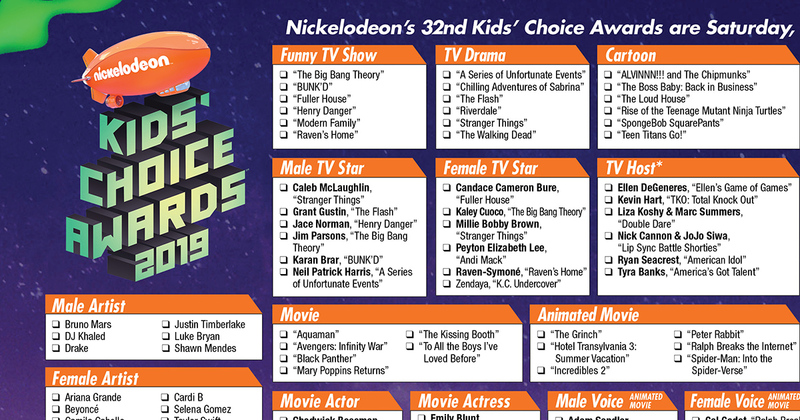 Nickelodeon’s 32nd Kids’ Choice Awards will air live on Saturday, March 23, 8-9:30 p.m. (ET/PT). Music mogul DJ Khaled is set to host.